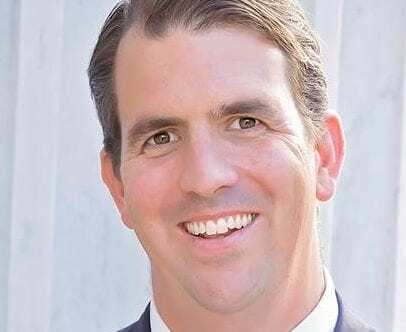 BETHLEHEM — Incumbent Town Justice Ryan T. Donovan, who is running unopposed and seeking re-election, said that he sees himself as a judge who is compassionate yet firm when hearing cases that come across his court and making decisions. Born and raised in Bethlehem, Donovan acknowledged how other people may not be as fortunate as he is, since he said he grew up in a supportive family in a great town, and was able to gain sheer experience in law and politics — which all complemented his humble nature. He graduated from Bethlehem High School in 1994, having since been inducted in its Hall of Fame recently, and went off to SUNY Oswego to be a history teacher. Around that time, he began getting involved with several political campaigns. In 1996, he traveled to London to be an intern at the House of Commons, then returned that fall to work on the Clinton-Gore campaign, and ended up as a White House intern in the West Wing in 1997. He said this period was when he began looking towards law, and applied and enrolled at Albany Law School in fall 1998. He added that he returned to Bethlehem then because he enjoyed studying there and that “because my parents, who live right around the corner, gave me a free place to stay.” He has since become an adjunct professor of law there since 2011. He has also made partner at the Albany law firm, Harris, Conway & Donovan, PLLC, where he specializes in commercial litigation, personal injury, alcohol beverage litigation, civil litigation, and trial practice. Now living in Delmar with his wife and three children, he said he enjoys juggling all those responsibilities. He said that he feels honored to run unopposed and he has appreciated the support from across party lines throughout Bethlehem. Having assumed office since June 2006, he added that he wanted to run again because he feels there is still a lot of work to do. Feeling that the town court should do more to address heroin addiction, Donovan developed a treatment court, which serves as a “special probation program,” over a year ago that is held in the town court. “Every month, a defendant, their attorney and a probation officer come here to court and meet with me, so I know what they’re doing for treatment, if they’ve tested positive, to keep them on task and hold them accountable,” he said. Such a program does not exist in any other town court in the whole state and holding the addicts accountable shows that he and the town court care about their well-being, according to him. Moving forward, Donovan said he wants to continue making the town court more efficient and he recognizes that the justice system is a process, although acknowledging that many people are intimidated by it.